The money multiplier tool increases the impact of money in poor regions. The new technology reprograms money to circulate more often in the local economy: creating jobs and income. Remittances: The project will focus on the money which migrants send to their families and increase the impact of that money. What if a small part of migrant remittances ($500 billion dollars per year), donor funds or aid money are channeled through the local economy with the aim to significantly work more for the poor? STRO’s target is to provide a $10,000 annual income to 120 million unemployed people. This will be achieved by increasing the impact of the flows of money that are already passing through poor communities. 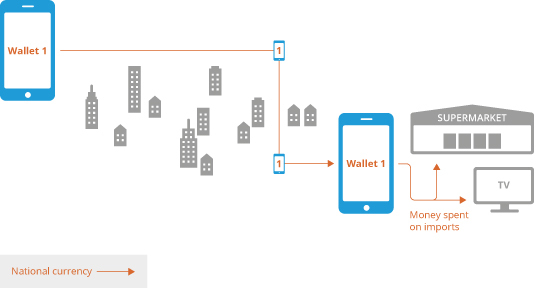 State of the art mobile wallet innovations can make all that money (or part of it!) circulate at least two times extra in these poor economies, creating an enormous economic impact! This crowdfunding project will make that happen. Starting with small steps, but in time, providing over 120 million more families the opportunity to earn a medium-level income. Cyclos can increase the impact of money available in the local economy. Money will circulate more often within the poor economy, which will have a huge impact on the fight against poverty and dependency: this effect is called the “Money Multiplier”. Money flows from rich areas towards poor towns and regions, but quickly flows out of the region again. It does not stay long enough to organise local production and consumption. 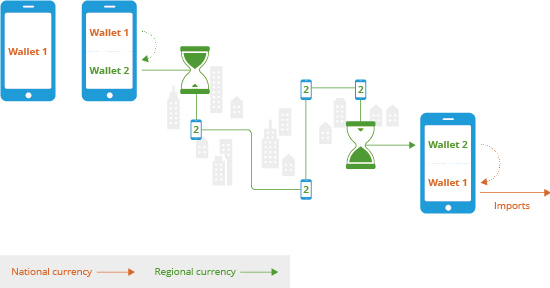 Cyclos software introduces a timer that makes money circulate more often in the poor region, creating more income and jobs for the regional economy. 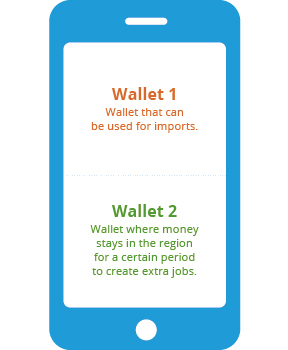 Money eventually flows out of the region, but whilst in the regional economy it creates income and jobs.